I hope everything is going well for you. I wanted to share some exciting news and hopefully get the chance to work together. It’s official! Las Vegas has a new outlet for talking about the issues that affect all of us. Internet Talk Radio is fast becoming the new choice of listeners around the world. 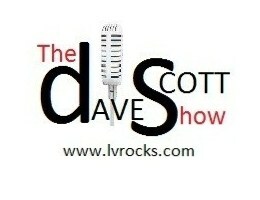 LVROCKS, Las Vegas’s internet station, will become the new home for “The Dave Scott Show” an interactive current events talk radio presentation. The current economy demands new and innovative ways of getting the message of available services and products out to the public. 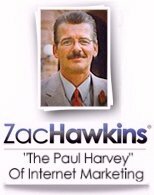 I believe I can offer you a great way of getting your message to the many customers available to you. I have been talking with people around the country for 24 years on a daily broadcasted talk show. I’ve been “on-the-air” in San Francisco, Denver, Tampa and radio stations in Massachusetts. I have spent years as a broadcaster talking daily about the things that concern us all. I’m no stranger to controversy and have spent time talking Politics, Lifestyles, the Economy, Entertainment, Education and Everyday Life issues that make for a lively and in-depth exploration of those issues that keep us all talking. With an eye to expanding the time to talk, starting November 1st, “The Dave Scott Show” will be presented live Monday through Friday from 4 to 5:00 PM and available to the world 24/7 for listening and downloading as a Podcast. WWW.LVROCKS.com is the web address to access the show. The phone lines will be open throughout the time so people from Las Vegas and around the world can be a part of the discussions. Advertising opportunities are bountiful! Single commercial announcements and full sponsorships are available, at low rates, to let a whole new audience know about your products and services. For as little as $10 you can let people know what you do, who you are and where you’re located. Because the show will be available on Podcast, your message will be heard over and over again when people, unable to listen live, hear the show at their leisure. Dave Scott's New Internet Radio Show is amazing. I like that, people love it too. Thanks for having this review about this internet radio. The thesis writing service is also the best to help and guide the students when they feel it's hard to do by themselves.